As we move into late September, harvest is typically well underway. Unfortunately, Mother Nature has not been kind to us so far. We were set to harvest Pinot Noir the morning of September 8th, 2018 but the previous day's rain and forecasted storms prevented our pick-team from getting out into the fields. 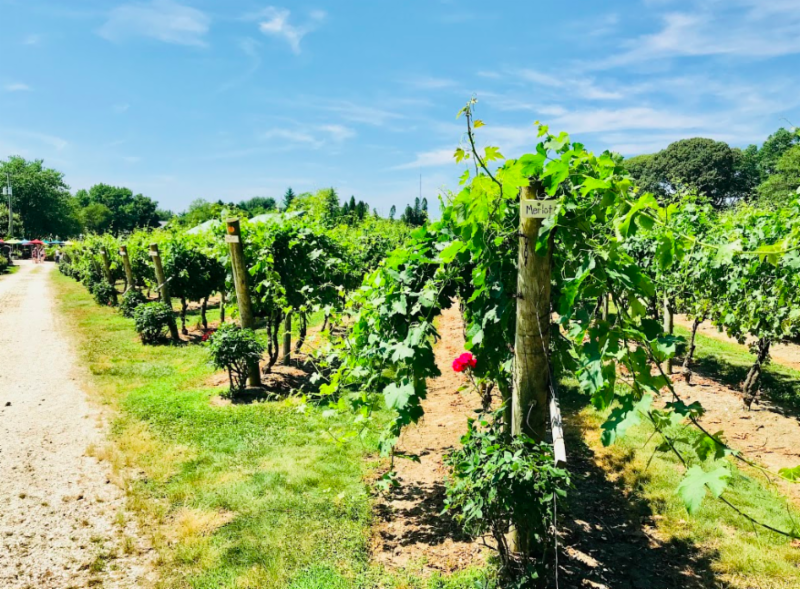 Cape May recieved about .75 inches of rain over that 3-day period, saturating the grapes. Once grapes become saturated, their sugar levels fall dropping the BRIX count. We must wait until the crop dries out allowing the BRIX to return to the desired level. As we waited and kept our fingers crossed for a day or two of sun, instead we recieved more rainfall the week of September 10th. The month to date rainfall for Cape May, N.J. September 1st-19th 2018 is 3.14 inches. This is devestating for the first 2 weeks of harvest, but we are remaining optomistic that the following weeks will stay dry & sunny for the remaining varietals. We import about 20% of our grapes used in production per year. This figure, as well as which grapes we import, depends upon harvest. For 2018, we will need to purchase larger quantities of our early harvest varietals such as Pinot Noir and Chardonnay. The majority of imported red grapes come from Washington State. Typically, we import Cabernet Sauvignon, Merlot, Cabernet Franc, Syrah & Petite Verdot. The Petite Sirah we import comes from California. The white grapes are imported from California and typically consist of Pinot Grigio, Sauvignon Blanc, French Colombard & Riesling. We use two NJ growers located in Bridgeton: Engine 1 and Sunny Slope. Our grapes combined with their grapes make up about 80% of our total yield.